Tomorrow officially kicks off day one of Kendi’s 30 for 30 remix, Winter edition. I’m excited about it. I’m going to be even more excited the day I get this site moved over to WordPress. Currently, the magical blogging elves seem to be on strike and I’m having to do all the grunt work on my own. I know why it’s called grunt work. Let’s just say I’m not singing any songs over here while I try to sort this whole thing out. Nope, no songs. Such is life. This old dog is going to have to learn some new tricks, I tell ya. Back to the drawing board and see you tomorrow! 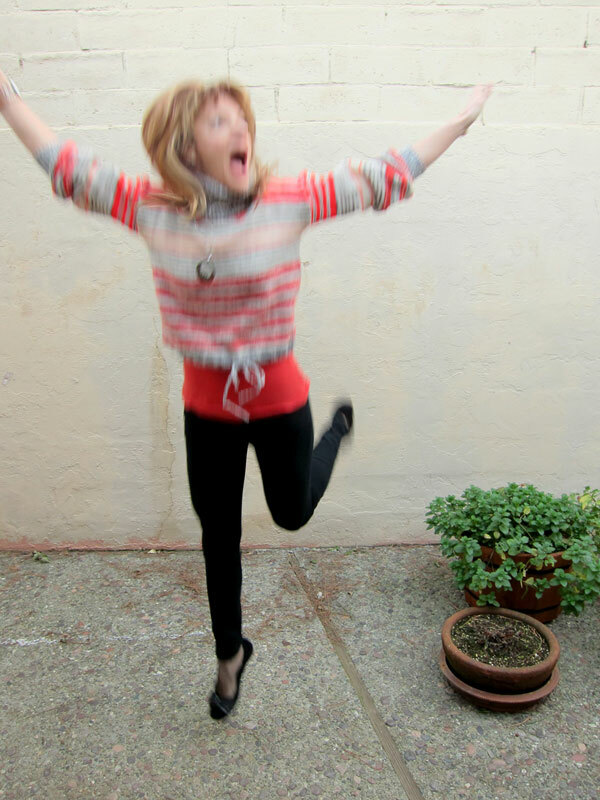 This jumping bean moment brought to you by one fine vintage ebay sweater purchase. I wasn’t sure how to make it work, it’s just shy of covering the entire mid-section. It seems that I had a red t-shirt the exact shade of the stripes. I love happy surprises! Deets: Vintage 70′s sweater/ebay, black ankle cigarette pants/BDG, red t-shirt/Club Monaco, kimono cuff/re4m, silver ring/Lois Hill, necklace/Alexis Bittar, fishnet knee-highs/We Love Colors, black ballet flats/Ecco.